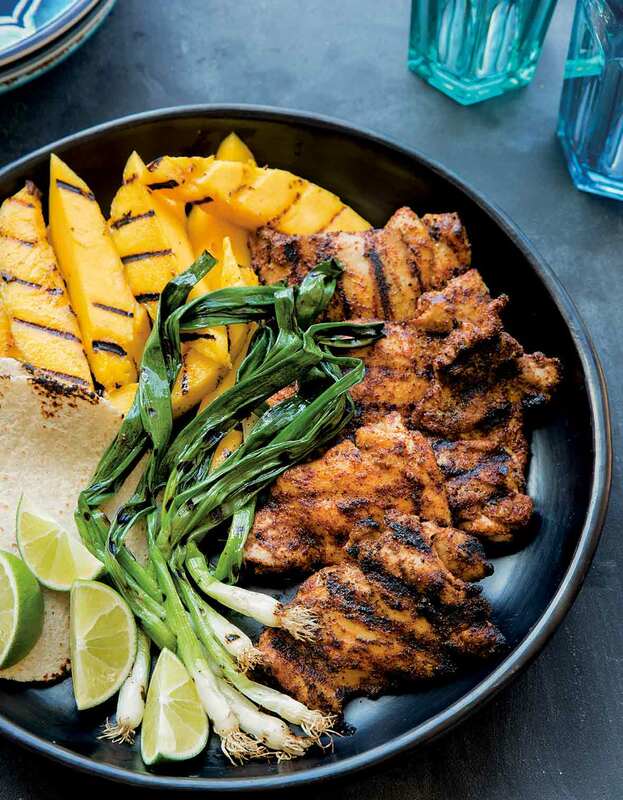 This grilled chicken tacos with mango is made with cumin, chili powder, scallions, and flour tortillas along with all the usual fixings. Perfect for Taco Tuesday. Perfect for any day. 1. Build a medium-hot fire in a charcoal grill or preheat a gas grill to medium-high. 2. In a large bowl, whisk together 2 tablespoons oil, the cumin, chili powder, 1 1/2 teaspoons salt, and 3/4 teaspoon pepper. Add the chicken and toss to coat thoroughly. Let stand for 10 minutes at room temperature. 3. Meanwhile, arrange the scallions and mangoes on a small baking sheet. Brush on both sides with the remaining 1 tablespoon oil and season lightly all over with salt and pepper. 4. Arrange the scallions and mangoes on the grate directly over the heat and grill, turning once, until nicely grill-marked on both sides, about 2 minutes per side for the scallions and 4 minutes per side for the mangoes. Transfer everything to a cutting board as it’s finished. Let cool slightly, then cut the mangoes and scallions into 1-inch (2 1/2-centimeter) pieces. Place everything on a platter and cover with aluminum foil to keep warm. 5. Arrange the chicken on the grate directly over the heat and grill, turning once, until nicely grill-marked and cooked through, 6 to 7 minutes per side. Transfer to a cutting board and let rest for a few minutes, then cut into 1-inch (2 1/2-centimeter) pieces and add to the platter with the mangoes and scallions. 6. Pass the chicken, mangoes, scallions, and tortillas at the table and serve with the guacamole and limes on the side. 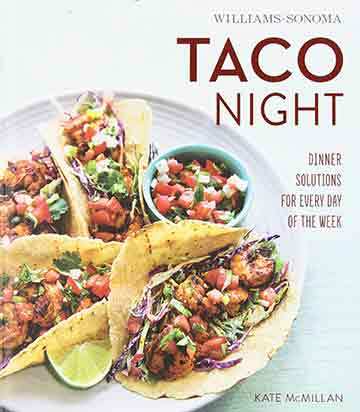 Grilled Chicken Tacos With Mango Recipe © 2014 Kate McMillan. Photo © 2014 Erin Kunkel. All rights reserved. All recipes and photos used with permission of the publisher.